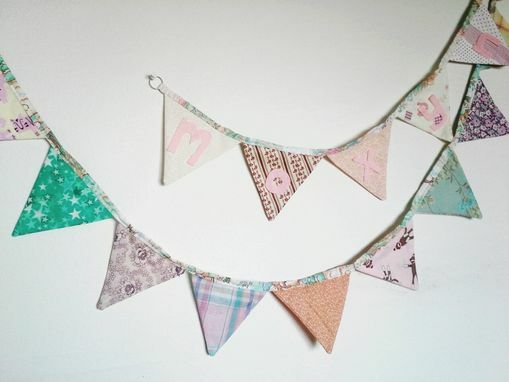 Custom fabric bunting set for your nursery or play room. 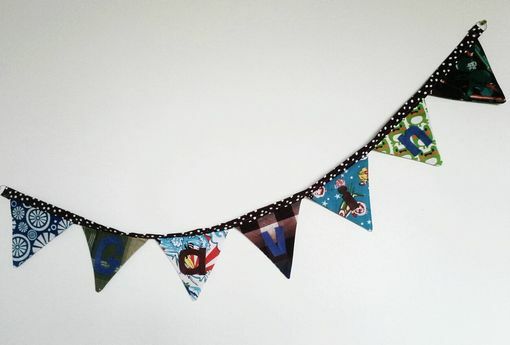 I will customize a set of two cloth banners just for you- please let me know your baby's name and the colors and/or theme of your nursery. 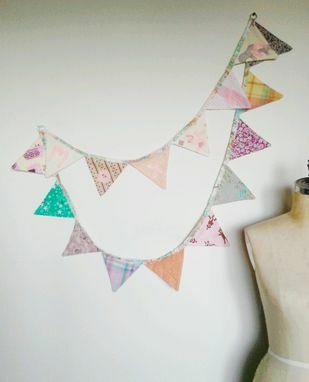 This listing includes one name banner and one coordinating banner without lettering. 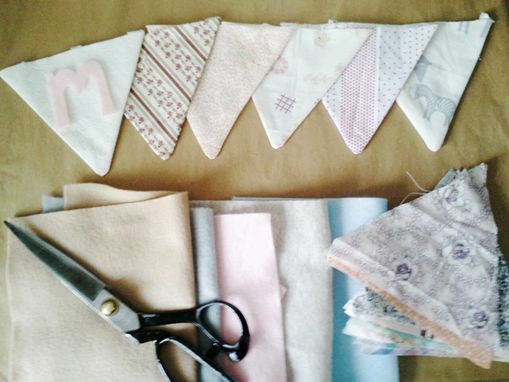 I will incorporate vintage and new fabrics to make you a one of a kind design, the letters will be hand cut from eco-friendly felt. Letters can be all one color or multi-color as the pictures. 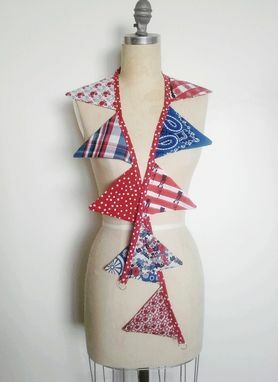 Length will vary depending on the name, each triangle is doubled sided and measures approximately 4.5 inches long and almost 5 inches wide at the top. Metal rings on each end allow for easy hanging. Please allow 3 to 7 days for construction, plus shipping time. Would you like a phrase instead? No problem! Just add $2 per flag for any banner over 10 flags long. Send me a message and I'll set up a custom listing.